Our mantel has been all spiffed up for spring! While I adore preparing it for Christmas, after a while, I'm ready for something a lot more 'light' and, well, just springy! This is the first time I've stood a picture in front of the mirror and I rather like it. This past summer, our local PBS station featured an online art auction as a fundraiser, and I was able to bid from our home in Wisconsin. Fortunately, I was the winner of this lovely watercolor by Jean Kreamer, an artist in Lafayette, La. It caught my eye because it reminded me of my two sons, both of whom were very tow-headed when they were small. It's titled 'The First Day of School' and I just fell in love with it! The lanterns were leftover from Christmas (Hobby Lobby) and provide a nice balance, as do the (real!) ivies on either side. 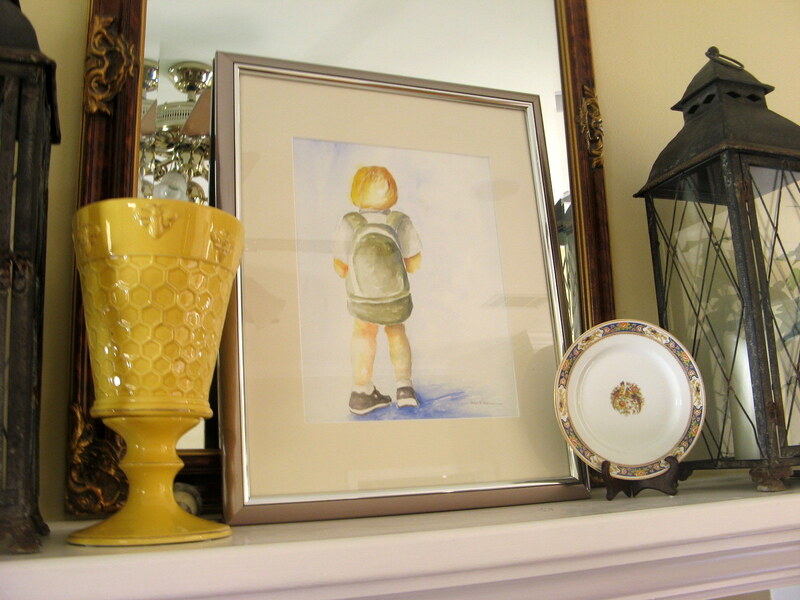 The yellow vase on the left was a Tuesday Morning find (it matches chargers from Horchow) with a honeycomb and bee pattern. The plate, a Limoges T&V LaCloche from a set found on eBay on the right, perfectly picks up the colors in the painting (how lucky was that?). We will enjoy this setting all spring, until it's time to head north! Thank you for visiting! Once again your mantle is exquisite and the fun part is hearing the whys and wherefores. Your mantel is so lovely and I like your watercolor. The lanterns are so nice to...I never met a lantern I didn't like. :) Love the story about the watercolor, too. I'm visiting from French Country Cottage. Thanks so much for your comments! I'm a new blogger and am so happy that visited and commented! Love the colors in this vignette. I also like to layer mirrors and pictures on my mantel. 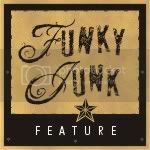 Followed over from Funky Junk's Saturday Nite Special. I am a new blogger - started last week. I am visiting from Distressed Donna Down Home. 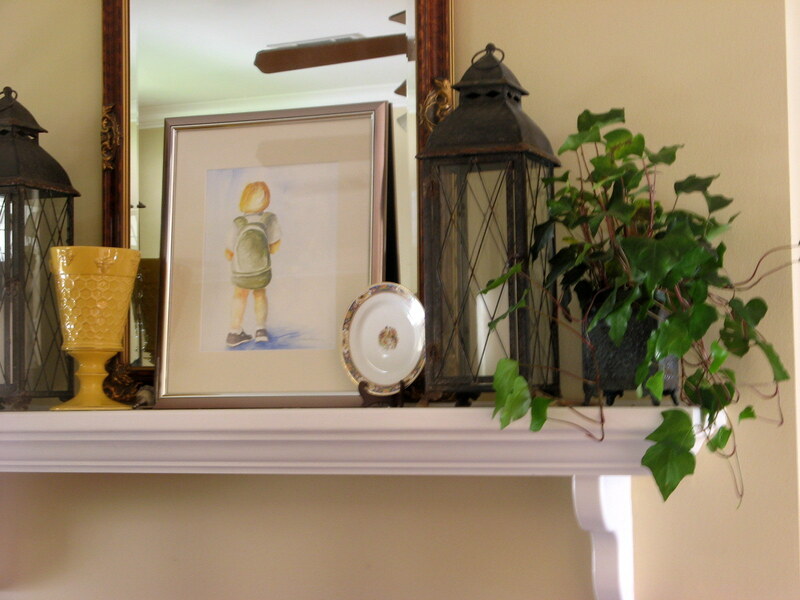 Your mantel looks so lovely and I too adore that darling watercolor! My son had the blondest hair and wore it in the Little Dutch Boy style. Thank you, Shelia! I enjoy following your blog! Love your mantel. Wonderful to have you be a part of Seasonal Sundays. Thank you so much! I'm a new blogger and enjoy following yours! First of all your header is gorgeous, what a fabulous front garden. 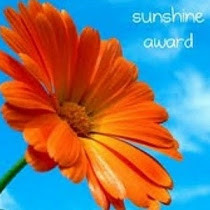 Your shelf is adorable for spring, love the bright yellow. The watercolor is so pretty. Thank you so much, Ann, for your kind comments! I'm a new blogger and really don't know what I'm doing yet! Nancy, Your mantel is lovely! 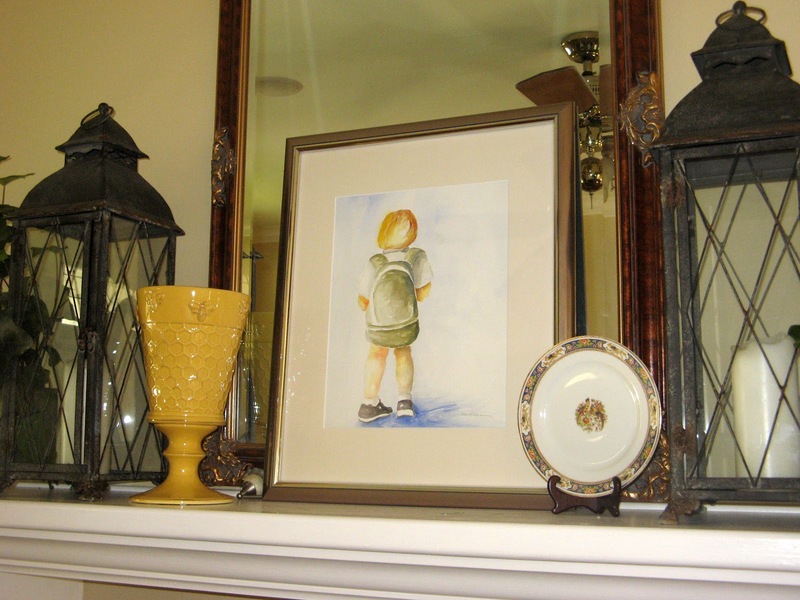 The story behind the watercolor is so sweet. Found you through Debbiedoo's Newbie party. Looking forward to following more of your creative projects and ideas! Thank you, Sharla! I appreciate your visit and comment! Beautiful mantel. The lanterns are beautiful and I love the watercolor...the back story really makes it special. Hi Nancy...you mantel looks so pretty. Thanks for linking to my newbie party. Please be so kind to add my visible link to your post. Thanks. I have to say that I love your header too. Very pretty! The lanterns are very neat, I'll have to see if I can see anything similar at Hobby Lobby this year. Thank you, Pam! 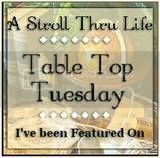 I'm very new to this and am still playing around with my site! HL has wonderful stuff; I'm CERTAIN you will find some great lanterns there this year! Thank you for visiting and following!! The BEST thing about this blog is enjoying the comments that you leave! Thank you so much for visiting!